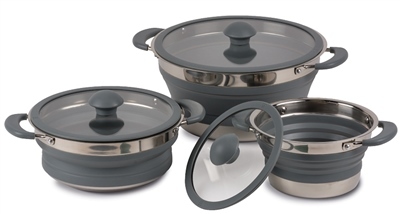 The Kampa collapsible saucepan is available in a choice of three sizes. All the pans fold making them ideal to pack for use on your camping trip. Each saucepan sold individually. Suitable for electric and gas hobs. Oven Safe up to 180degrees C.